Jim Graham’s Group C/GTP series is racing at Spa this weekend (July 14-16) – and nowhere seems more appropriate for this exceptional entry. For the first time, there’s a 60 minute race on Saturday (with the option of two drivers) and the regular 30 minute race on Sunday. 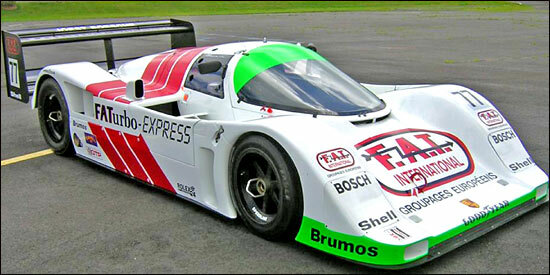 Mark Sumpter brings along Chris Goodwin to co-drive his Porsche 962 on Saturday, while Aaron Hsu has entered a very famous Porsche – the Bob Wollek / Frank Jelinski Joest car, which beat the Mercedes and Jaguars at Dijon in 1989. This turned out to be Porsche’s last Group C win, the Mercedes dominating thereafter. The car now runs in FAT colours. Lola Owner Martin Birrane makes his first appearance in the series, racing a Spice SE86 Hart.